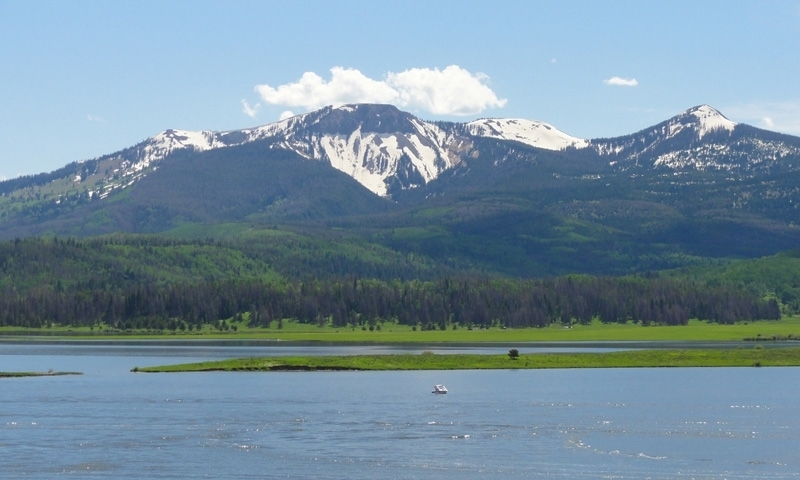 Steamboat Lake State Park is located at the base of the breathtaking Hahn's Peak in northern Colorado. It has the most amazing views in the area, and offers tons of fun recreational opportunities for the whole family. It's no wonder this place is so popular! Reservations for campsites may be made between 3 days and 5 months in advance. Steamboat Lake State Park features multiple park passes, including a daily park pass for $6. Steamboat Lake State Park offers a relaxing alternative to year-round recreation framed by the breathtaking scenery of Hahn’s Peak. Located near the town of Steamboat Springs, Colo., Steamboat Lake State Park is a great option for lake recreation as well as city activities. Go west two miles on U.S. 40 to County Road 129 (also called Elk River Road). Turn north and drive 25 miles. The Visitor Center is on the left-hand side of the road. You can't miss us! Steamboat Lake State Park is open year-round. However, certain activities are dependent upon the season. In the summer season, camping at Steamboat Lake State Park is a popular option among travelers. Reservations are highly recommended as the 188 campsites have different nearby amenities and views. Ten camper cabins are also available featuring a cozy 12’x12’ living space. Fishing, picnicking, trail and boating recreation are also available at the state park that offers a full-service Marina and swim beach. In the winter season, the area transforms into a cool-weather paradise with snowmobiling, ice fishing and cross-country skiing. The ten camper cabins featured as drive-in in the summer season are also available in the winter; however, they are walk-in only with a maximum walk of 100 yards. All vessels that are on a trailer must be inspected at an Aquatic Nuisance Species (ANS) station before launching. Lake Dillon is one of the highlights of Summit County Colorado.